Every time when my husband and I went to shopping for grocery, we would stay at the seafood are for a little while discussing what kind of fish we need to buy. Most time, we bought salmon, which is easy to cook and hard to get it done in a terrible way. We seldom bought shell or cuttlefish. Only when I have a new recipe to try that will I buy those I rarely choose. 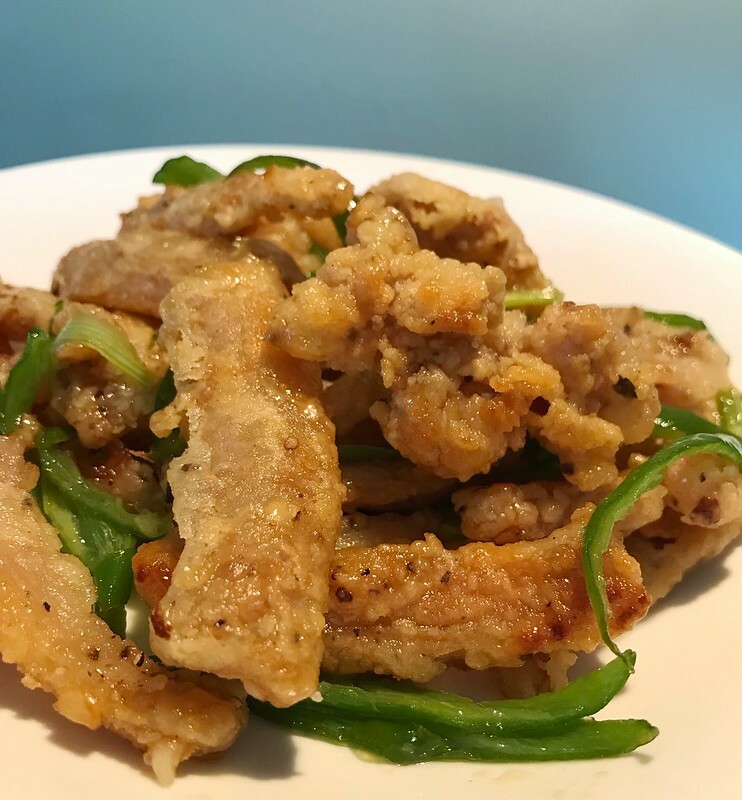 I think cuttlefish can be fried with crispy shell. If they got coated with sauce, it will be nice. That’s how I got the idea of making this dish. 1. Cut cuttlefish into medium pieces. I was planning to have cuttlefish rings, but the one I bought already got cut open. So I just cut it into strips. 2. Place cuttlefish into a bowl. Sprinkle a little salt and black pepper. 3. In another bowl, combine 50g flour, 50g corn flour, 1 tsp salt, 1 tsp black pepper. If you want it to be spicy, you can also add in chili powder. Mix them well. 4. Dip cuttlefish into the flour and shake off the excessive. 5. Deep fry them till the shell becomes hard and golden. Cuttlefish tastes really good after frying. I can’t help having some of them and also feed my husband a little. He likes it. Really crispy and tasty. 6. Heat a pan. A little oil in. Sauté chopped ginger and garlic till aromatic. 7. Add in 1 tablespoon sugar and 1 tablespoon vinegar. Stir to dissolve the sugar. When the sauce condensed, add in fried cuttlefish, green chili & spring onion shreds. 8. Quickly stir fry to let cuttlefish be coated with sauce. And ready to serve. 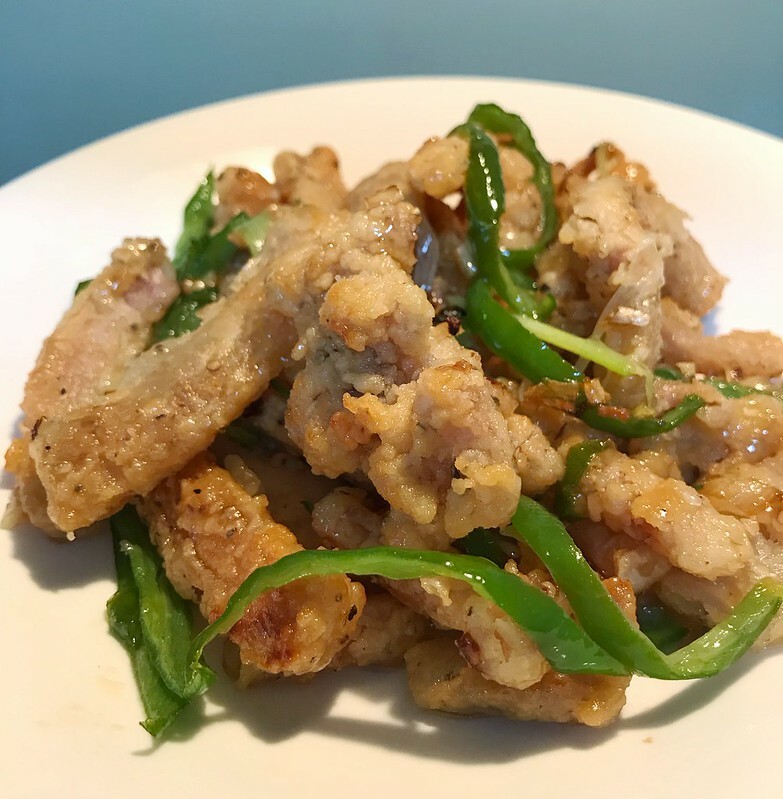 Crispy cuttlefish is coated with sweet and sour sauce. Very yummy.